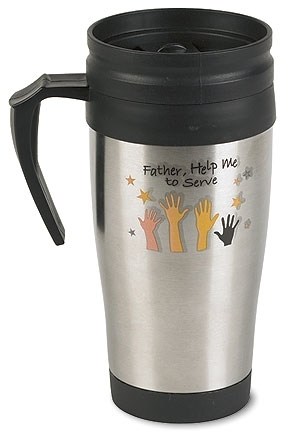 Featuring a message of service, this thoughtfully designed mug makes a great gift for volunteers and is also as a reminder for us all to serve those around us in God's love. With double wall insulation, it features a spill resistant seal and easy to grasp handle. Travels well and a great fit for car cup holders! Exclusive designs, keeps beverages warm or cold. Hand wash only.